New automotive technologies continue to make the news, as UVO Skill is yet another voice activated technology that is going to make life easier for KIA owners. For now it works with only four models: Niro Plug-In Hybrid, Soul EV, Optima Plug-In Hybrid, and the K900. Certain years of those models are when they started to be compatible with this technology, so you’ll need to inquire about the vehicle year you’ll need to take advantage of UVO Skill. Your vehicle will have to come with this technology installed, and you’ll use it in conjunction with your Amazon Alexa device. Through the device and pre-installed technology of UVO Skill, you’ll be able to use voice activated commands to control some very convenient features of your vehicle. For example, you can use voice activated commands to use remote start and stop. Want heated seats in the morning but don’t feel like dragging yourself out of bed early to start the car? No problem! UVO Skill and Amazon Alexa have got you covered. Just use the appropriate command and you’ll go outside to find your car isn’t just started but already heated for you. First things first: Make sure you have UVO Skill installed on your model. Search your Amazon companion app to find UVO Skill. Log into your account from UVO Skill. Create your pin. And now? You’re good to go! You can use the power of your voice to basically tell your KIA what to do. It’s an innovative technology that’s making life easier for so many KIA owners today. You’ll notice that hybrids are for now the only vehicles to have this technology pre-installed, but KIA is definitely looking to expand its menu of models that work with the UVO Skill technology. It’s not difficult to see how voice activated commands using your Amazon Alexa device is going to make your life as a KIA owner easier. You’ll be able to tell your car what to do without having to go out there and do it yourself, thus saving you a lot of time on your morning commute or evening commute, and it’ll be easier to get ready for social outings as well. It’s one way that KIA is saying “Thank You” to their customers for sticking with the brand over the years. Not that there aren’t a lot of other great reasons to love the KIA brand. KIA of Woodstock is a proud KIA dealership. The friendly staff here is ready to demonstrate the UVO Skill technology for you whenever you’re ready. All you have to do is give us a quick call to set up a test drive of any of the aforementioned compatible KIA models. We’ll take you out on the road, let you get the feel of the vehicle, and then of course you can ask for a full demonstration of the UVO Skill technology. We believe that you’re going to be as blown away and impressed as we were when we first got our hands on this wonderful piece of tech. Don’t wait another minute! 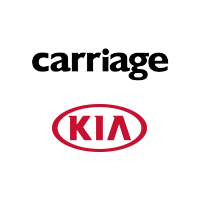 Give Carriage KIA a call to set up your full test drive and demonstration of UVO Skill.